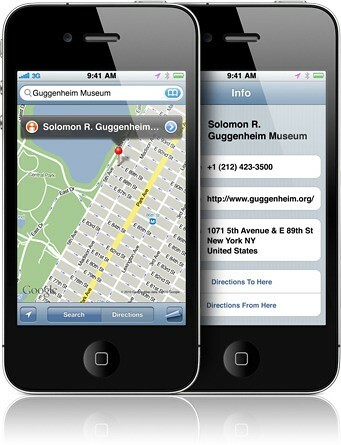 More evidence that Apple is building its own maps solution has been found in iOS 5, according to MacRumors. 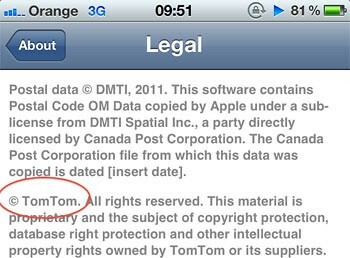 The site was tipped off to a new "Map Data" section in iOS 5's legal disclaimers. This section is separate from Google Map's terms and many of the companies do not overlap. • CoreLogic - offers Parcel data which marks boundaries for of properties to provide positional accuracy in location-based solutions. • Getchee - provides location and market data on China, India and Southeast Asia. • Increment P Corp - provides location and traffic data for Japan. • Localeze - provides local business listings. • MapData Sciences Pty Ltd. Inc - provides mapping data for Australia and New Zealand. • DMTI - provides postal code data for Canada. • TomTom - offers global TeleAtlas mapping data which is also licensed by Google for their map solution. • Urban Mapping - provides in-depth neighborhood data such as crime, demographics, school performance, economic indicators and more. • Waze - offers real-time maps and traffic information based on crowd sourced data. While Apple has reportedly signed on to continue using Google Maps, the company has publicly revealed that it's working on a traffic service for iOS users and its acquisitions and hirings suggest a full blown maps solution.